Last week, I made a quick post about how terrible Sarah Palin’s Washington Post op-ed was. Today Senators John Kerry and Barbara Boxer strike back, with a well written rebuttal. Reposted below. Alaska Gov. Sarah Palin put the global warming debate front and center last week with a plea to avoid the “personality-driven political gossip of the day” and focus more “on the gravity of . . . challenges” facing our country. We share her hopes for a substantive dialogue. But we want to put facts ahead of fiction and real debate ahead of rhetorical bomb-throwing. Palin argues that “the answer doesn’t lie in making energy scarcer and more expensive!” The truth is, clean energy legislation doesn’t make energy scarcer or more expensive; it works to find alternative solutions to our costly dependence on foreign oil and provides powerful incentives to pursue cutting-edge clean energy technologies. Palin asserts that job losses are “certain.” Wrong. The American Recovery and Reinvestment Act and American Clean Energy and Security legislation will create significant employment opportunities across the country in a broad array of sectors linked to the clean energy economy. Studies at the federal level and by states have demonstratedclean energy job creation. A report by the Center for American Progress calculated that $150 billion in clean energy investments would create more than 1.7 million domestic and community-based jobs that can’t be shipped overseas. Palin seems nostalgic for the campaign rally chant of “drill, baby, drill.” But she ignores the fact that the United States has only 3 percent of the world’s proven oil reserves, while we are responsible for 25 percent of the world’s oil consumption. In fact, the governor’s new refrain against global warming action reminds us of every naysayer who has spoken out against progress in cleaning up pollution. Whether it was the debate over the Clean Air Act, the Clean Water Act, the Superfund law or any other landmark environmental law, one pattern has always been clear: Time and again, pessimists — often affiliated with polluting industries — predicted job losses and great costs to taxpayers. Each time, our environmental laws have cleaned the water we drink, the air we breathe and the communities we live in at far lower cost than initially expected. Take the acid rain program established in the Clean Air Act amendments of 1990. The naysayers said it would cost consumers billions in higher electricity rates, but electricity rates declined an average of 19 percent from 1990 to 2006. Naysayers said the cost to business would be more than $50 billion a year, but health and other benefits outweighed the costs 40 to 1. Naysayers predicted it would cost the economy millions of jobs. In fact, the United States added 20 million jobs from 1993 to 2000, as the U.S. economy grew 64 percent. The carefully crafted clean energy bill that we will present to the Senate, building on the Waxman-Markey legislation passed by the House, will jump-start our economy, protect consumers, stop the ravages of unchecked global climate change and ensure that the United States — not China or India — will be the leading economic power in this century. By creating powerful incentives for clean energy, it will create millions of jobs in America — building wind turbines, installing solar panels on homes and producing a new fleet of electric and hybrid vehicles. We do not charge that Palin wants to keep sending hundreds of billions of dollars overseas annually to import oil from countries that, in many cases, are working to harm Americans and American interests around the world — or that she wants another nation to lead the way to the innovative clean energy solutions that will be eagerly gobbled up by the rest of the world. But those would be the tragic results of the do-nothing policies she has espoused. Our nation’s approach to energy must be balanced and must provide incentives for all the available clean energy sources to help reduce our dependence on foreign oil. We are already working every day in the Senate to pass legislation that will reduce our dependence on foreign oil, create millions of clean energy jobs and protect our children from pollution. We respectfully invite Gov. Palin to join that reality-based debate — one that relies on facts, science, tested economics and steely-eyed national security interests. Our country needs nothing less, and our planet depends on it. Barbara Boxer, a Democrat from California, is chairman of the Senate Committee on Environment and Public Works. John F. Kerry, a Democrat from Massachusetts, is chairman of the Senate Foreign Relations Committee. Gov. Sarah Palin’s op-ed, “A ‘Cap and Tax’ Dead End,” was published in The Post on July 14. So I wish Sarah Palin would just disappear for 4 years, and re-appear so she can lose a race for president, and then go back away for another 4. But she keeps showing up in the media. I’m only posting this news story since it’s related to wildlife. Basically Sarah Palin has an aerial wolf hunting program in Alaska to keep caribou population up. Ashley Judd appeared in a commercial by Defenders of Wildlife exposing what is going on. Palin doesn’t like it. 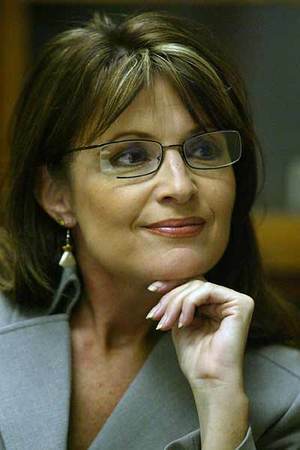 I’ll try and abstain from mentioning Sarah Palin in a post for awhile. Okay, for the sake of my sanity I’m going to try and make this the last time for awhile that I write about Sarah Palin. This is also about Rudy Guliani. Both mocked the fact that Barack Obama was once a community organizer, which I thought was very offensive and demeaning, even for politics. I think that those attacks certainly struck a chord with me, considering the fact that I am an activist and have worked with and know many “community organizers”. These are some of the best people in the country, they work long hours for little pay to get people involved and active on the issues that affect them. They raise people up, empower them, fight for them, and most importantly teach people how to fight for themselves. All this even when they are given little to nothing in return. Without community organizing, there wouldn’t be 40 hour work weeks. Without community organizing African Americans wouldn’t have have the right to vote, and neither would Women. Community organizers take on many forms, whether it be those who work for non-profits, thoses who work for civic groups, or those who work from or within churches. Without these fine people, a lot of the things we take for granted today wouldn’t exist. I even heard and interesting line from someone that “Jesus was a community organizer”. Learn to attack people on the issues, not to debase and demean their past accomplishments. I’ve heard very little about the issues during this Republican Convention. I’d like to hear something of substance, even if I disagree with it. The only person I’ve seen who talked about anything relevant was Mitt Romney. You know when Mitt Romney is the best speaker you’ve had to far that there is serious trouble. Ultimately, one thing community organizers do is they get people to vote. They get people to register to vote. I think it would be most fitting that the very people Sarah Palin and Rudy Guliani are belittling are the people who mobilize enough support in November in the swing states to defeat them on election day. Karma could never top that. To me, wolves are basically dogs, just wild. I’ve been hearing for over a year about this horrendous practice taking place in Alaska. It was one of the top reasons why Sarah Palin’s selection as VP turned me from a supporter of Barack Obama who felt ok about McCain to being completely “hell no” for him. This isn’t hunting, it’s slaughter. I think if all Americans knew about this, far fewer would be inclined to support this ticket. To me, the only difference between this and Mike Vick’s dogfighting activities is that what Vick did was illegal, Palin rewrote the laws to make this legal. 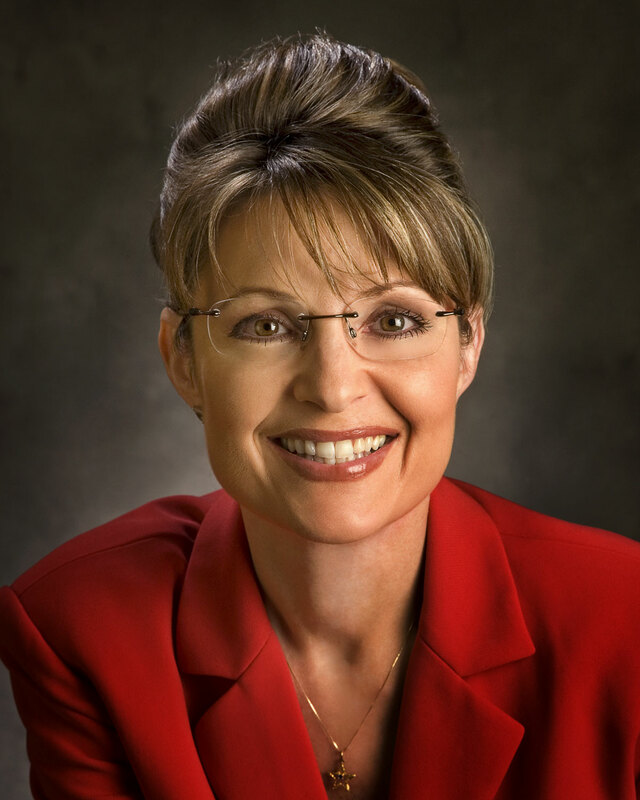 Obviously my guess at Tim Pawlenty as the VP was wrong, as John McCain has chosen Sarah Palin, the two year governor of Alaska. From a perspective of how this affects the race, I really don’t know. Obama has held a slight lead in Alaska, and that state may now go to McCain, however it’s only three electoral votes, and there were other toss-up states such as Michigan where other VP selections would of had more of an effect on the electorate. How this affects the women’s vote? The funny thing is I don’t think Sarah Palin will represent any of the interests of women, but McCain having her on the ticket will get some of that vote. How much of that she yields will determine how much of a difference she makes in the electoral vote. At this point, I think that’s a toss-up, but no doubt some of the Hillary supporters who were upset Obama didn’t pick her may vote McCain/Palin. From a political perspective, Sarah Palin hasn’t been in the game long. She was a mayor of a small town, and shes been Governor of Alaska for a couple of years. Take it how you will, it’s kind of ironic for the McCain campaign to attack Obama over and over again for not having enough experience and then pick Sarah. I really think that McCain is only picking Palin to try and get the women’s vote, I really think they had plenty of VP’s they would have picked over her, but saw this choice as making the most political headway. If they were going to pick a woman, I would’ve thought it would be Kay Baley Hutchinson, who has a lot more experience. The debate between Palin and Biden will be interesting, I quite frankly think Biden will clean house, but he has to do it in a non-jackass way to not alienate people watching who think hes talking down to her. From a political perspective, I’m unsure how this will play out. However, from an environmental and energy perspective, this is extremely disturbing. Sarah Palin and Alaska are one of the MOST backwards states when it comes to energy, fighting climate change, and protecting the environment. In fact it’s so bad this pick has almost made me throw up. I truly hope that McCain wouldn’t listen to her on these issues if he were elected. For a state that may be the most affected by climate change in our country, Alaska’s policies have been mind boggling. 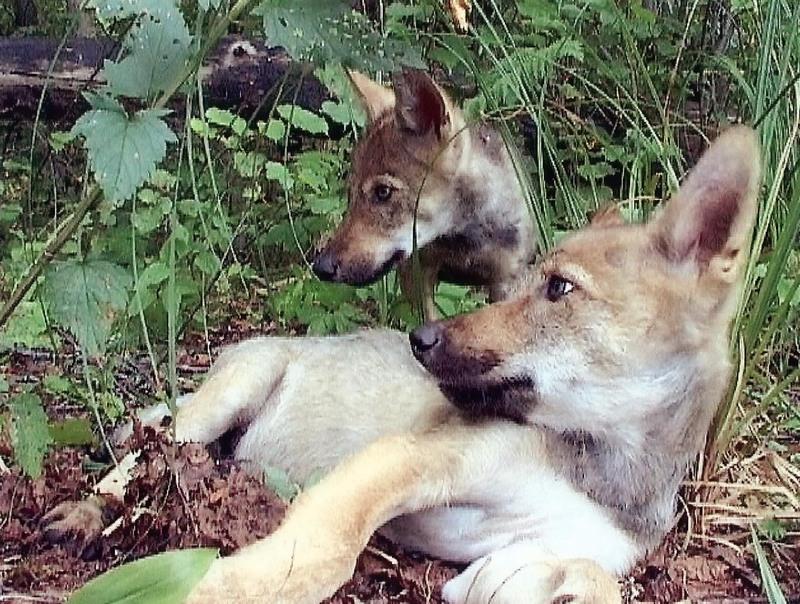 They’ve spent hundreds of thousands, if not millions of dollars trying to fight all sorts of environmental protections whether it be ANWAR, polar bears as an endangered species, protections on environmentally sensitive areas from natural gas minings, they’ve performed aerial huntings of wolves even when there isn’t an overabundance of them, and they face the possibility of becoming endangered once again. Ironically, while Alaska led by Sarah Palin is in a complete state of denial about climate change, and the strongest advocate of environmental destruction within it’s own state, Alaska has been warming far more than the rest of our country. Alot of it’s infrastructure is built on permafrost, and that permafrost is now melting, softening the ground so that it’s like jello. This is causing billions of dollars of damage, far more than the residents are receiving back from the government for drilling and ruining their land while jeopardizing their children’s future. AND BY THE WAY, THE NOTION THAT SARAH PALIN HAS TAKEN ON BIG OIL IS AN ABSOLUTE JOKE, NOT ONLY BECAUSE OF THE ABOVE RECORD, BUT BECAUSE HER HUSBAND WORKS FOR BP. Had to make sure that wasn’t missed. For more information of the environmental disaster that is Sarah Palin, heres a few more facts. With the addition of Sarah Palin, the prospect of a McCain presidency for me goes from “might not be that bad” to “hell no”.